In the wrong hands, credit card debt can be extremely damaging to credit and to financial peace of mind. Because credit cards are revolving credit, they allow you to borrow more and more money, even before you have paid off what you owe. 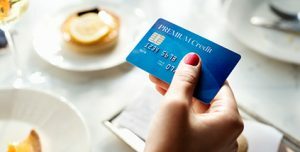 Unfortunately, because credit cards only require a tiny payment per month, it can be easy to get in over your head and not realize how much you owe and how long you could be in debt. Some credit card companies are more transparent about this and list information on your credit card statement to help you figure it all out. This is in response to regulations which require them to provide more detailed information about your credit card. A debt calculator. Are you in too much debt? This calculator helps you evaluate so you can take action. A credit card debt payoff calculator. If you’re wondering whether to pay extra on your credit cards, this calculator lets you determine the impact of making different types of payments on your debt. You can see how even small extra payments can help you get debt-free faster. A transfer calculator. If you need a monthly credit card payment calculator to help you decide whether transferring your balance can help, this is the calculator for you. A length of time calculator. Do you know how long will it take you to pay off your credit card debt if you only pay the minimum amount or if you pay a little more? This calculator can help. You can use this calculator as a credit card minimum repayment calculator or minimum payment credit card calculator, letting you see the true impact of paying only the minimum each month. Money Help Center is not affiliated with any third parties, so our calculators are accurate and give you the real picture. You can use this information to help you get out of debt faster. Whether you’re looking for a credit card balance calculator, credit card minimum monthly payment calculator or another calculator, we can help. What has helped you pay down your credit card debt?